Establish yourself firmly in the awareness of 'I AM'. This is the beginning, and also the end of all endeavour. Nisargadatta Maharaj (17 April 1897 – 8 September 1981), born Maruti Shivrampant Kambli, was an Indian Guru of Shiva Advaita (Nondualism), belonging to the Inchagiri Sampradaya, a lineage of teachers from the Navnath Sampradaya and Lingayat Shaivism. Nisargadatta was born at break of dawn on 17 April 1897, a full-moon day in the month of Chaitra, to a devout Hindu couple Shivrampant Kambli and Parvatibai, in Bombay. [web 1] The day was also, Hanuman Jayanti, the birthday of Lord Hanuman, hence the boy was named 'Maruti', after Lord Hanuman himself. [web 2] Maruti Shivrampant Kambli was brought up in Kandalgaon, a small village in the Ratnagiri district of Maharashtra, where he grew up amidst his family of six siblings, two brothers and four sisters, and deeply religious parents. [web 3] His father, Shivrampant, worked as a domestic servant in Mumbai and later became a petty farmer in Kandalgaon. Sri Nisargadatta Maharaj [...] still gave mantra initiation, with the underlying point being that the mantra was more than sound, it was the Absolute Itself which could be reverberated throughout life in all circumstance. Boucher also notes that Nisargadatta adopted a different mode of instruction, through questions and answers, for his western disciples. Many of Nisargadatta Maharaj's talks were recorded, and formed the basis of I Am That as well as of the several other books attributed to him. 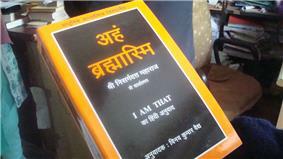 Nisargadatta's "I Am That" in Hindi. The life force [prana] and the mind are operating [of their own accord], but the mind will tempt you to believe that it is "you". Therefore understand always that you are the timeless spaceless witness. And even if the mind tells you that you are the one who is acting, don't believe the mind. [...] The apparatus [mind, body] which is functioning has come upon your original essence, but you are not that apparatus. Among his best known disciples are Sailor Bob Adamson, Stephen Wolinsky, Jean Dunn, Alexander Smit, Douwe Tiemersma, Robert Powell, Timothy Conway, Wayne Dyer and Ramesh Balsekar. A less well known disciple is Ramakant Maharaj, who received the naam mantra from Nisargadatta in 1962, spent the next 19 years with the master. [web 11][web 12] and states to be "the only Indian direct disciple of Shri Nisargadatta Maharaj" who offers initiation into this lineage. [web 13] Sachin Kshirsagar, who has published a series of books on Nisargadatta in the Marathi language[web 14] and also re-published Master of Self Realization, says to have received the Naam (Mantra) in a dream from Shree Nisargadatta Maharaj in Oct., 2011. The Navnath Sampradaya is only a tradition, way of teaching and practice. It does not denote a level of consciousness. If you accept a Navnath Sampradaya teacher as your Guru, you join his Sampradaya. 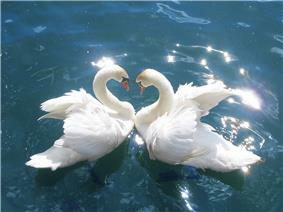 Usually you receive a token of his grace - a look, a touch, or a word, sometimes a vivid dream or a strong remembrance. The Wisdom-Teachings of Nisargadatta Maharaj, A Visual Journey (Talks recorded,1977–1979). Edited by Matthew Greenblatt. InnerDirections Publishing, 2003. ISBN 1-878019-20-1. The Nectar of the Lord's Feet: Final Teachings of Sri Nisargadatta Maharaj: Discourses January–November 1980. Edited by Robert Powell. 1990.ISBN 1-85230-011-6. Nectar of Immortality, Sri Nisargadatta Maharaj Discourses on the Eternal, Edited by Robert Powell. 1987. ISBN 81-208-1733-8. The Ultimate Medicine: Dialogues with a Realized Master, Edited by Robert Powell. 1994. ISBN 1-55643-633-5. The Experience of Nothingness, Sri Nisargadatta Maharaj's Talks on Realizing the Infinite. Edited by Robert Powell. 1996. ISBN 1-884997-14-7. Self Knowledge and Self Realization, Sri Nisargadatta Maharaj, first published 1963. Edited and republished by Jean Dunn. Seeds of Consciousness: The Wisdom of Sri Nisargadatta Maharaj, Edited by Jean Dunn. (Talks recorded, 1979–1980). Chetana Publishing, Bombay 1990. ISBN 0-89386-025-5. Prior to Consciousness, Talks with Sri Nisargadatta Maharaj, Edited by Jean Dunn. (Talks recorded,1980–1981). Chetana Publishing 1999. ISBN 0-89386-024-7. Consciousness and the Absolute, The Final Talks of Sri Nisargadatta Maharaj, Edited by Jean Dunn. (Talks recorded, 1981). 1994. ISBN 0-89386-041-7. I Am Unborn: Talks with Sri Nisargadatta Maharaj, by Pradeep Apte & Vijayendra Deshpande. The Wisdom of Sri Nisargadatta Maharaj, Blue Dove Press, 1995. Gleanings From Nisargadatta, Mark West, Australia, Beyond Description Publishing, 2006. "Nothing is Everything", Mohan Gaitonde, Zen Publications, 2014. Adhyatma Dnyanacha Yogeshwar (Vol I & II) written by Nisargadatta Maharaj. Collection of 130 talks of Siddharameshwar Maharaj (Marathi), November 1961 and July 1962. Master of Self Realization, An English translation of Adhyatma Dnyanacha Yogeshwar written by Nisargadatta Maharaj, a collection of 130 Talks by Siddharameshwar Maharaj, which also includes a newly revised edition of Master Key to Self-Realization written by Shri Siddharameshwar Maharaj. ISBN 978-0-578-02789-0. 2nd Edition Published by Shri Satish Avhad & Shri Sachin Kshirsagr, Pune, Maharashtra,India in Nov 2014. I may talk Non-duality to some of the people who come here. That is not for you and you should not pay any attention to what I am telling others. The book of my conversations [I Am That] should not be taken as the last word on my teachings. I had given some answers to questions of certain individuals. Those answers were intended for those people and not for all. Instruction can be on an individual basis only. The same medicine cannot be prescribed for all. ^ Jones & Ryan 2006, p. 315. ^ I Am That, pp. 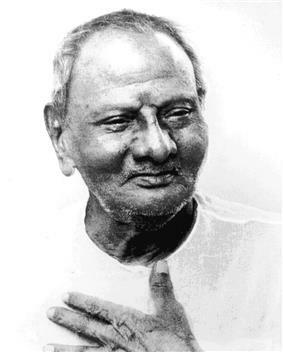 6, Who is Nisargadatta Maharaj. ^ I Am That, Chapter 75, p. 375. ^ Prior to Consciousness, pp. 1–2, 4 April 1980. ^ a b c Boucher year unknown. ^ Rosner 1987, p. 212–218. ^ Dyer 2007, p. 39. ^ Nisargadatta 1973, p. chapter 97. Stephen H. Wolinsky, I Am That I Am: A Tribute to Sri Nisargadatta. 2000. ISBN 0-9670362-5-9. Peter Brent, Godmen of India. NY: Quadrangle Books, 1972, pp. 136–40. S. Gogate & P.T. Phadol, Meet the Sage: Shri Nisargadatta, Sri Sadguru Nisargadatta Maharaj Amrit Mahotsav Samiti, 1972. Neal Rosner (Swami Paramatmananda), On the Road to Freedom: A Pilgrimage in India, Vol. 1, San Ramon, CA: Mata Amritanandamayi Center, 1987, pp. 212–8. Ramesh S. Balsekar, Explorations into the Eternal: Forays from the Teaching of Nisargadatta Maharaj . 1989. ISBN 0-89386-023-9. Ramesh S. Balsekar, Pointers from Nisargadatta Maharaj. 1990 . ISBN 0-89386-033-6. Bertram Salzman, Awaken to the Eternal: Nisargadatta Maharaj: a Journey of Self Discovery. 2006. ISBN 1-878019-28-7. S.K. Mullarpattan, The Last Days of Nisargadatta Maharaj. India: Yogi Impressions Books, 2007. ISBN 81-88479-26-8. Awaken to the Eternal, Nisargadatta Maharaj: A Journey of Self-Discovery. 1995.